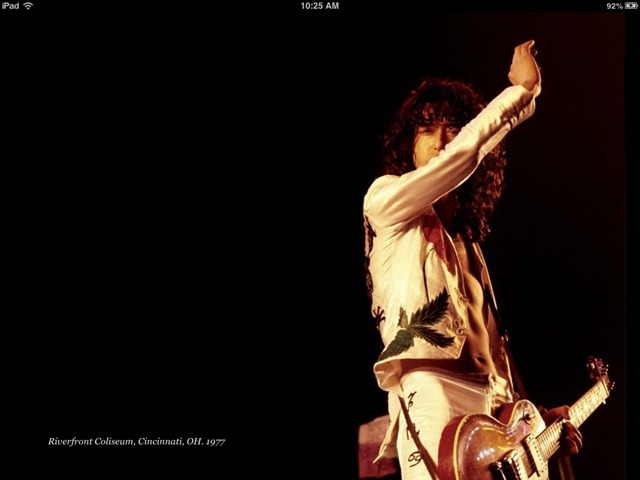 Preston had unparalleled access to Led Zeppelin and the photos and multimedia elements in this book are spectacular proof of that. I love the fact that Preston’s introduction begins with a line with just one word: Swagger. 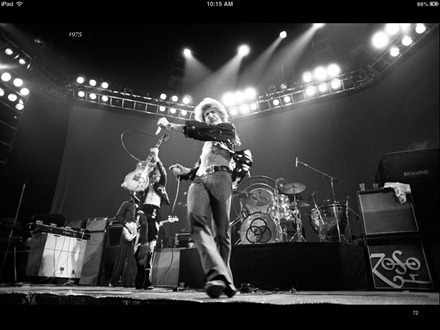 That’s one of the big themes in the book – the sheer swagger and supreme confidence, cockiness even of the band – and it’s highlighted in lots of the photos of course. 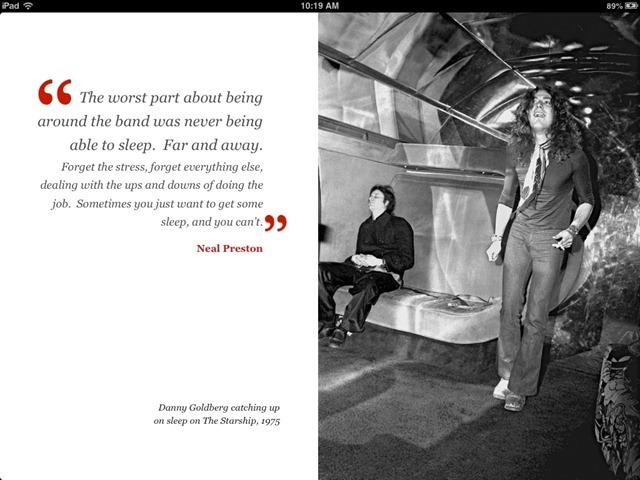 The book includes hundreds of photos of Led Zeppelin – including over 100 that have never been seen before. They capture many of their live performances and also plenty of off-stage moments. The audio and video clips within the book tell backstories of some of the photos and offer a behind-the-scenes glimpse of the band as well. The video with their Artist Relations Manager (Daniel Markus) talking about his first few encounters with John Bonham is hilarious. One thing that comes across very clearly is how trusted Preston was by the band and how immersed in the whole experience he was. 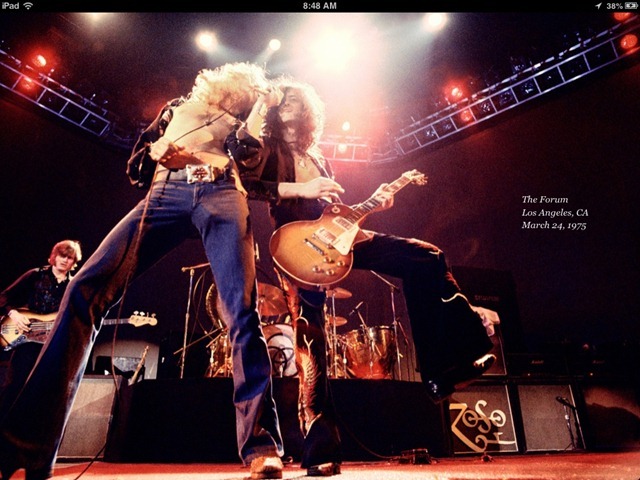 I’m a big fan of coffee table books for the iPad and I grew up as a huge Led Zeppelin fan – so I had high expectations for this iBook since I first heard it mentioned. I downloaded the book this morning and have spent a lot of time with it already – and I am not disappointed. 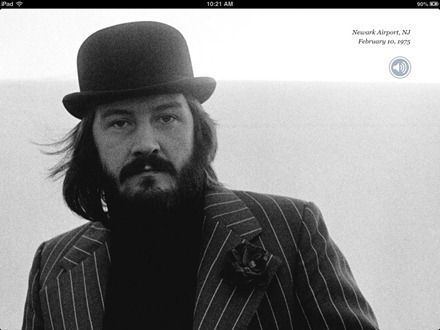 I’m not all the way through it yet – but I’m thoroughly enjoying the superb photos and the great read. If you’re a Led Zeppelin fan, you’re going to want to check this one out. Here’s an iTunes link for Led Zeppelin: Sound and Fury; it’s priced at $9.99.